I do love a lovely things blog post, writing them reminds me of the little things that I'm grateful for and gives me a little bit of extra happiness. 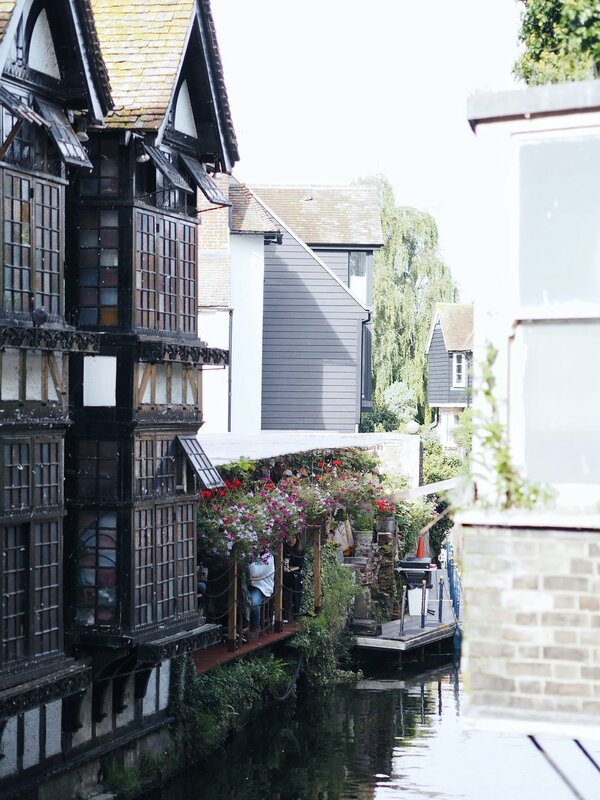 Below are two photos of a recent afternoon trip to Canterbury with my Mum & Dad, and it was perfect end of summer weather, crisp but sunny. I love any chance to whip my camera out, I just need to do it more often! I go through phases with music where I listen to one artist/group a lot at one time, and at the moment I'm lovinggg Mumford & Sons old albums - mainly 'Sign No More'. I bought myself a lemon tree *inserts lemon emoji*. I saw it in the shop, and I just couldn't leave it behind. It's sitting in my kitchen window loving life, and even has a few lemons growing! It's the little things in life, am I rite? Since the first day of this year, I've been noting down any good memories that have happened and kept them in a little mason jar. I am so pleased that I've done this, so at the end of the year I can go through them all and remember everything good that happened, no matter how small. Thought ramble over.